Help, I’ve got fleas in my house, but don’t have pets! Where did they come from and what do you do next? It’s hardly a pleasant prospect having fleas in your house and when you don’t have pets you might be feeling mystified about where they have come from. The most likely scenario is that you’ve had friends visiting with pets with fleas or moved into a house that has had cats or dogs living there – even though they might have moved out some time ago. What happens is that flea pupae are protected in a cocoon during their development into adult fleas and in the absence of a host they can lurk around in this protected state for quite some time. The fleas only come out when they think that a new host has arrived and they sense this by detecting movement, warmth and carbon dioxide which indicate that there is a living, breathing host in the vicinity. The fleas present are most likely to be cat fleas or dog fleas and although they can bite people they don’t consider them suitable hosts and will drop off again. As they can’t take a blood meal from people the fleas will eventually die off (as they need a blood meal to produce eggs), although it’s possible that your human family might get bitten frequently until that happens. If an untreated pet enters the house then a flea can hop on board, feed and produce eggs although this takes 24 hours and if they are not in your home by then they won’t perpetuate the lifecycle - although they could start a new infestation in their own home! Much less common are human fleas. If you have a human flea in your home you will be a suitable host, the lifecycle will complete and fleas will breed, potentially resulting in an infestation in your home. Not many people are happy to wait until the cat and dog fleas in their home die off. FRONTLINE® HomeGard is a household spray that can kill adult fleas in your home and prevent eggs and larvae developing there for up to 12 months. It can be used on carpets, cracks and crevices in flooring, pet bedding and soft upholstered furniture, to eradicate fleas and help prevent re-infestation. It’s not suitable for use on your hard furnishings as fleas don’t normally reside in these places. Vigorous vacuuming is also useful to disturb the fleas in cocoons – these are very sticky so not easily vacuumed up but the vibration can encourage them to hatch out. It’s also a good idea to wash bedding at at least 60 degrees where possible. Children’s soft toys can be bagged and put in a freezer for 5 days to kill any fleas present. You can also bring flea eggs into the home on clothing or shoes but if you don’t have pets it’s unlikely that these will develop into a viable population in your home. 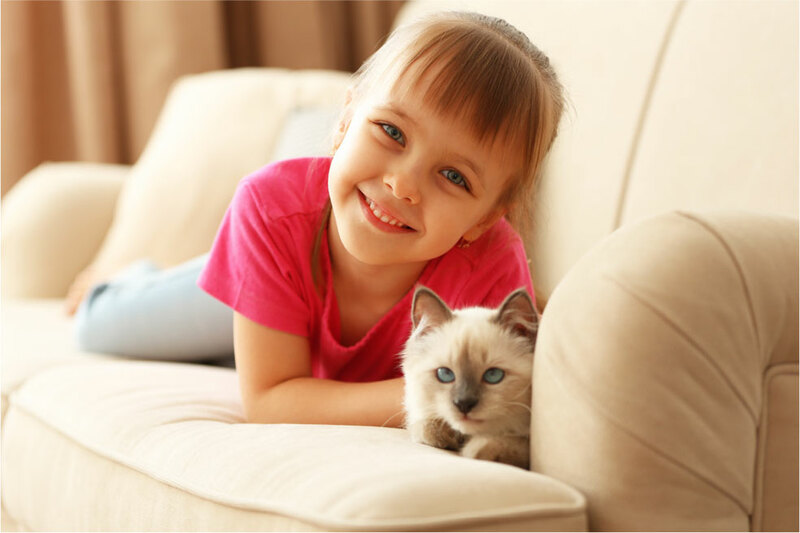 Of course, if you do have pets, regular preventative treatment is needed to break the flea lifecycle and prevent infestations from developing in your home.